The cost of copper was around $2.50 a pound in mid-June. While that might not sound like a lot of money, when you have hundreds of feet of copper wire, you’re talking about thousands of dollars or more. Transit systems, which utilize copper in wiring, are the latest target for thieves looking to make some easy cash. In May, the pilfering of 500 feet of copper wire from a subway line in New York City left hundreds of travelers stranded and demonstrated the operational and financial impacts of this type of crime. And it’s not the only incident. There have been instances of copper theft on the Seattle Sound Transit, Long Island Railroad, and San Francisco’s BART System. In fact, the National Insurance Crime Bureau saw 33,775 insurance claims for metal thefts from 2010 to 2012, and 96% of those were for copper alone. While the price tag of stolen copper can be substantial, the impacts don’t stop there. Thieves also expose the system to other security and safety risks and millions of dollars of infrastructure damage. Train systems can have dozens of rail lines spanning hundreds, even thousands of miles of track across a broad geographic area, making comprehensive and continuous surveillance of the railway nearly impossible. Even when proper monitoring systems are installed — video cameras and asset monitoring, for example — sifting through the many alerts they generate to find those that indicate a security threat is a challenging undertaking. So the question is: How do you protect your assets and ensure optimal operational efficiency? The first step to defending your infrastructure is to make sure the proper security systems are in place — for instance, a video monitoring or intrusion detection system. Cameras, which can help identify thieves and intruders, can also provide incident management support to track how the individuals got in to the area and exactly what they did while they were there. In particular, infrared cameras are extremely useful for outdoor surveillance since they can record at any time of the day with clarity, but they carry a heavier price tag. Intrusion detection systems trigger an alarm and register an alert when someone trespasses or breaches the perimeter of fenced in rail lines, depots or stations. These systems can also call to focus any available video feeds of the breached area. But not all rail lines are protected by a fence, and thieves are more likely to strike in remote, unprotected areas. In these circumstances, a transit operator may not know a copper theft has occurred until it’s too late and the damage is already done. That’s why transit systems should also make sure their tracks or other facilities utilize sensors that can electronically detect and alert the command center when power to the third rail has been cut or copper pulled from the track. Rapid situational awareness and communication to law enforcement could help mitigate the theft in real time. 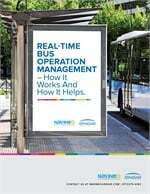 In addition, transit agencies should consider deploying a physical security information management (PSIM) system that collects and analyzes data from video cameras, intrusion detection systems, GIS, track power circuit sensors and other sensors. With a PSIM, command centers can view this information in real-time and receive immediate alerts to potential copper thefts. Security personnel can then provide information about the alert, like its specific location and the nature of the breach or failure, to first responders so they can respond quickly and appropriately. The second crucial step to infrastructure security is to have a plan and process in place to dictate which alerts should be responded to first so there aren’t any oversights. After all, it’s not only imperative that the right people are alerted to the issue, but that an action is performed to correct the situation. PSIM systems automate the prioritization of alerts and tasks and provide approved procedures for remediating issues, so if a monitor indicates a copper theft in progress, security personnel can respond in real time. Situational awareness is integral to protecting your assets, but it’s only the first step. The bottom line is that even if you have the resources to install cameras every 50 yards on your tracks, incidents can still be overlooked because of the volume of alerts in the command center. The real issue with copper theft prevention, or any sort of incident on your transit line, is how to manage the situation and respond swiftly.